It’s strange sometimes how ‘things’ occur that seem to re-emphasise a theme. Last night I was working on my sermon for next week and for some reason felt I should watch (again!!) Breakfast at Tiffany’s. It may seem a bit of a ‘chick flick’ to be watching but it is one of my classic favourites and it does seem more and more that one of the ways that God communicates with me in a format that I can understand and hear is through film. 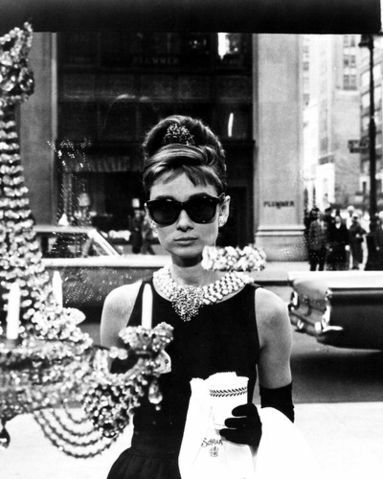 The film is about Holly Golightly and her ‘free-spiritedness’ and relationship with life. She values ‘being rich’ only and is determined to choose a rich husband, even when she starts to fall in love with the writer who has moved in upstairs, who only has $50 to his name! If you have not seen the film you should watch it just for the beauty of the film itself and the joy which Audrey Hepburn exhibits in her portrayal of the character. I’ve just found out that Anna Friel is playing the lead role in a stage show which is due to open in London in early September. You know what’s wrong with you, Miss Whoever-you-are? You’re chicken, you’ve got no guts. You’re afraid to stick out your chin and say, “Okay, life’s a fact, people do fall in love, people do belong to each other, because that’s the only chance anybody’s got for real happiness.” You call yourself a free spirit, a “wild thing,” and you’re terrified somebody’s gonna stick you in a cage. Well baby, you’re already in that cage. You built it yourself. And it’s not bounded in the west by Tulip, Texas, or in the east by Somali-land. It’s wherever you go. Because no matter where you run, you just end up running into yourself. Our relationship with others, as well as with God, I am seeing, from my times of waiting necessarily involve having guts and courage to step put of the cage. It involves vulnerability. Being in the cage offers us protection and we acclimatise to being caged thinking our safety equates to freedom. In fact, the cage we crawl in for self preservation is the cage that prevents us from growing, exploring and developing in the way we are supposed to as human beings. I think we sometimes try to sanitize our faith and think that we can engage with people from the safety of our cage. We try to minimise risk and eliminate vulnerability. That cage could take many shapes – home, family, friends, clubs, and of course church, which may be the largest cage for many – a lace where we feel we are safe but have an increasing awareness that actually it may be holding us back in various ways. This entry was posted in faith, film by robryan65. Bookmark the permalink.